Two years ago, Tim Chen presided over a tech startup that employed mostly former Wall Street finance types (who were mostly new graduates). He’d bootstrapped his company, Nerdwallet, for over five years at that point, and they were already profitable, but he knew there was another level to be reached — another gear to shift into. They could go from making good money to impacting the finances of hundreds of thousands, if not millions of people. He wasn’t exactly sure what this future looked like, but he knew what it would take get there: a total talent reboot. While there were already 50 dedicated and passionate employees at NerdWallet, Tim knew he needed to grow exponentially, with a focus on engineering, design and product talent. There was only one problem — which, unfortunately, led to a few more. Because Nerdwallet had never raised money, it never got the buzz or the coverage that usually comes with a check. Without being able to point to prestigious investors or skilled engineers, it lacked the cache that, for better or worse, most technical talent looks for in a startup. Chen needed to find a way to somehow put Nerdwallet on the map for the best and brightest with seemingly no levers to pull. So let’s skip to the end. Obviously, Chen prevailed but not without bringing several other heroes into the fold — namely, Florence Thinh, who built the recruiting team that was instrumental in growing Zynga from 40 to 3,000. Now as VP of Talent at Nerdwallet, she’s helped the company rethink its approach to recruiting and nail some pretty exceptional stats: a 85% offer acceptance rate in 2015 with a passive hire rate that increased by 3x from 2014 to 2015 (that is, great people who weren’t actively looking for a job at the time). In this exclusive interview, Chen and Thinh share how they upleveled talent while growing the company from 50 to 270+ in two short years. 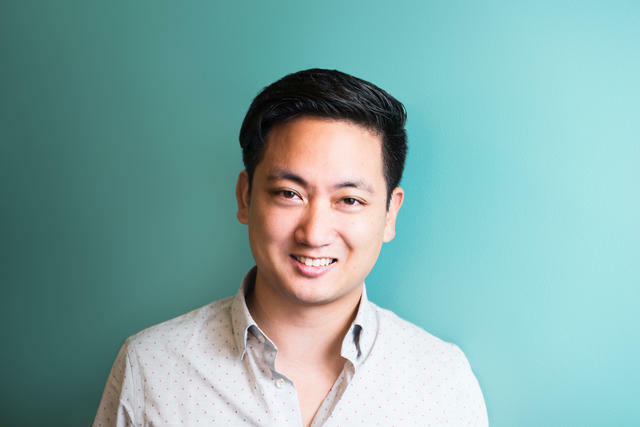 Before he could build out Nerdwallet’s ranks, Chen set out to make a few senior-level hires that would not only help him steer the ship, but attract the right type of attention and respect from other prospective candidates. He needed marquee names, what he calls “tent poles,” the people who could keep the multi-ring circus running and set standards and expectations for everyone else. The first three tent poles he recruited made all the difference in the world. 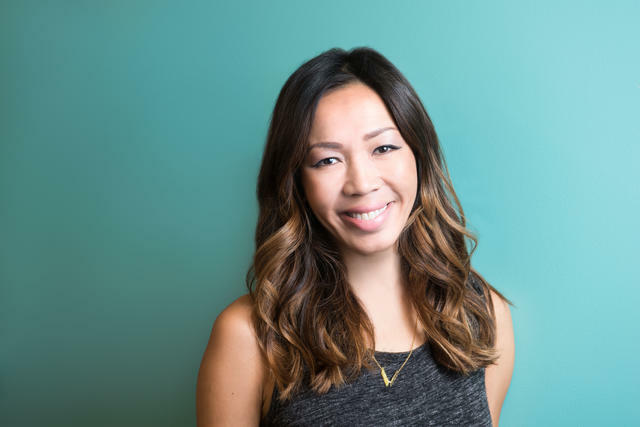 Thinh, brought on to lead people operations, was transformative and brought her Zynga and Khosla Ventures street cred with her. Dan Yoo, was lured out of LinkedIn, where he was VP of Business Operations and Analytics. And Bhaskar Ghosh, who later joined from LinkedIn as VP of Engineering and Operations, held tremendous prestige in the engineering community. Sounds great, but getting folks with these resumes to join a little-known startup wasn’t a walk in the park. “In order to get senior people on board, I had to think about what social proof I had to leverage,” says Chen. “I knew I couldn’t start with an engineering leader, because no one at the company was going to be a draw for them at the time, plus I had hacked the website together myself, so engineering wasn’t a clear priority. I thought, well, the most direct route is probably biz ops because they know the value of consulting and banking, and that’s the talent I have right now.” This is how the conversation with Yoo kicked off. When he started meeting the staff, it was clear they were world-class in their field. He was intrigued but not sold. At the same time, Chen had interviewed over 20 candidates before landing on Thinh as the perfect fit for HR. While it was clear Nerdwallet’s recruiting system was far from optimal, there was something that stood out to her: Chen himself was uniquely invested in the process. It was clear to Thinh that talent would be a top priority at the organization. Even as a candidate, she saw how many different people he spoke to just to benchmark what the company actually needed, and she was impressed that he had her speak with both people who had been there for years and mere weeks. He seemed to know his stuff. She knew if she joined she wouldn’t have to start from scratch or beg for support. So, like Yoo, she was open to the possibility. So he hatched a plan. He told Yoo and Thinh about each other — that they were each at the offer stage, seriously considering leadership roles at the company — and suggested they go out to dinner to talk. They hit it off, discussing their various experiences, who they knew in common (35 shared LinkedIn connections), and ideas for the company. Even though neither of them had signed, they were each impressed with Nerdwallet’s taste in talent and its ability to get the other one interested. They ended up starting on the same day. The lessons: Use what you have to get tent poles in the door. Consider the social dynamics at work. Big-time talent is often your best selling point for landing more big-time talent. And, as a CEO, the best thing you can do to set yourself apart is to show how knowledgeable and invested you are in a particular functional area. People don’t join companies where they’ll have to struggle to make an impact or explain their every move. They want to feel empowered and that they can trust the CEO to be an informed thought partner. On top of that, Chen’s offer to his first tent poles included room to grow and play. Prior, Yoo had been a VP. Nerdwallet made him COO. Thinh had been a director, now she’s VP. No matter how senior someone is, they don’t want to stop learning or expanding their capacity. They’ll gravitate toward places where they know they have built in opportunity and are bound to be challenged. So when you’re looking to recruit a tent pole, think about how to give them the highest ceiling possible. In addition to bringing expertise and seniority, the right tent pole hires will confer a number of other important advantages. This is one of the biggest factors in Nerdwallet’s ability to make so many passive hires. If you’re going to pull someone amazing out of another company before they’ve even considered looking, it’s probably because of the people, not just the role, says Chen. I would see these hires coming through that were just exceptional to the point that I was legitimately confused about what they were doing here. But I got used to it. Having a senior leadership layer people look up to and like makes working at your company an aspirational pursuit. Florence Thinh photographed at Nerdwallet HQ. When Thinh joined, she worked with Chen to tease out exactly what qualities made for an ideal Nerdwallet employee. The result was overhauling the recruiting process and defining the attributes — most importantly, the central attribute — that signaled success (more on this later). Since then, this framework has filtered out hundreds of candidates that looked brilliant on paper and has prompted many remarkable non-obvious hires. After you have stellar leadership in place, rebooting talent boils down to precision matchmaking. At the heart of every match are aligned values. Yes, “values” is a squidgy term that usually means nothing. But at Nerdwallet everyone knows them, often from memory, and acts accordingly. It’s become a fundamental part of the talent reboot. A former hedge-funder, Chen was used to competing against the other five analysts in his office. Collaboration was out of the question. And when he started Nerdwallet, that culture followed him. Consumer, Company, Team, Self: We believe that doing what's best for consumers is the right strategy. Putting company and team goals before our own allows us to collaborate with greater trust and effectiveness. It's the fastest path to success, collectively and individually. Drivers Before Solutions: Figure out what the most important thing to do is, then do it. Solve the right problem by addressing the root cause, not just symptoms. It takes a thoughtful and strategic approach to unlock step-function growth. Healthy Relationships, Hard Conversations: Disrupting consumer finance is incredibly hard work. We take risks, make mistakes and experience failure together. Cultivating positive relationships and empowering one another with honest and direct feedback accelerates our ability to overcome roadblocks. Relentless Self-Improvement: Continuous improvement compounds quickly — for yourself and for the company. A growth mindset is your best tool for tackling the tough and ambiguous challenges ahead. Approach each day with the humility to recognize your weaknesses and a commitment to developing yourself and others. Plus, there’s not too many of them to remember. This has been a boon for Nerdwallet, where Chen and Thinh regularly hear people using phrases verbatim in meetings like, “Hey man, remember drivers over solutions! What’s the next step?” or “We need to have a hard conversation to keep this relationship healthy, okay?” The company’s values have become so embedded that they’re basically primary directives, helping people navigate whatever comes up. So, what does this have to do with recruiting? Just like they guide people’s work once they’re on staff, these values are used to identify and attract the right people too. Understanding the cause or impetus of an outcome is critical. It helps you arrive at better solutions faster, and it streamlines communication. Instead of everyone on a team throwing out and debating various solutions for hours (which Chen and Thinh both experienced firsthand before the reboot), they have the ability to backtrack, agree on what matters, and work toward it together. This trait is so critical to success and productivity at Nerdwallet that it’s become the focal point of the recruiting experience. They’ve seen it again and again. The people who thrive have this mentality, while those who flounder don’t. The lesson: Startups benefit tremendously from identifying that one vital, commonality that all of their successful employees share. Make that the cornerstone of your recruiting process and test for it early to apply an effective filter. Devise your test so that candidates may not necessarily know what you’re looking for, but that will clearly reveal whether they have the trait you want or not. Reinforce this trait after people join through continually communicated values. Every time you hire someone who passes your test, you’re compounding the positive effect, says Chen. The opposite is also true. Every hire you make is a stem cell that will replicate. People bring in other people like them. That's why hiring low performers can cause real damage. Hiring poor performers also hampers your recruiting abilities. You have to assume everyone knows everyone somehow, says Thinh. So if you’re trying desperately to land a candidate who knows that you just hired three people she thinks are lousy, there’s no way she’s taking the offer. The stakes are higher than you think. This is why she’s designed Nerdwallet’s recruiting process to be a white glove experience from initial touchpoint through signed offer letter. This comes with the usual trappings — a very personable recruiter, a comfortable on-site interview, fast and responsive communication — but it places extra emphasis on the people component. She credits Nerdwallet’s 85% offer acceptance rate to this standard of candidate care. “A lot of it has to do with courtship — high-quality experience and our strong and visible culture manifested in every conversation they have,” she says. Lastly, good match-making requires a certain amount of psychologizing. As Thinh explains, she focuses intently on getting candidates to explain how they make decisions. What's their criteria? Who are the people they lean on for advice? It might sound like chit chat, but they’re actually giving her key context clues. Once she has a thorough understanding of how they evaluate choices, she’ll ask them, “Where would you rate your ability to say yes right now, with 10 being an unequivocal yes?” Most often, people say 7 or 8. That gives her room to ask about the gap between where they’re at and 10. Arriving at the right outcomes of these conversations is an essential part of your talent reboot. Tim Chen photographed at Nerdwallet HQ. Flat organizations without titles have become a lauded hallmark of the startup ecosystem. But that’s not always the best way to go. When you reach a certain size — as small as 20 people — titles can become critical trail markers for precisely the people you want to retain. You realize that people really like defined goals that drive continual improvement. Thinh says that her first impression of the Nerdwallet team — when it was just at 50 or 60 employees — was that everyone had a huge appetite for growth and progression, and some kind of roadmap to show them the way. Having seen rapid growth at Zynga, she knew that it wasn’t only important to have an outlet for this energy, but one that would scale as the team scaled. “I thought to myself, ‘What’s a tool that would not only make it clear when people should be promoted, but would serve as a manual for young managers who are just starting to make these decisions.’ We needed a blueprint." While many companies will promote solely based on skill-level or ability, much of Nerdwallet’s career development matrix references the company’s values. Higher levels of seniority should have fully embraced and demonstrated the core values in clear, obvious ways. On one hand, this filters out jerks who shouldn’t be taking on greater influence, and on the other, strongly incentivizes people to internalize not just the skills but the beliefs that create excellence. Right now, the matrix lives on Nerdwallet’s wiki and is available to all employees, not just managers. It’s often brought out and walked through during one-on-one conversations throughout the company, serving as a rubric for people to discuss promotions as well as simply check in on performance. Thinh's plan is to regularly revisit and revise it so that it’s always up to date. Like the other touchstones of Nerdwallet’s culture, the matrix is also used religiously for recruiting purposes. Many candidates are interviewed for more senior jobs where they would be coming in and managing existing employees. In order for anyone to be hired, they must exhibit the same qualities and reflect the same experience as the matrix spells out for any other employee. Is this new person a manager as dictated by Nerdwallet? The matrix will tell you. “It provides great internal transparency for us throughout the entire new hire process, from understanding and identifying which roles we need to fill to evaluating candidates within a set framework,” says Thinh. They highlight problems: This might not sound good, but disputes over titles are super helpful for shedding light on deeper issues. “There are a lot of people who want a different title than they have simply because of the status, or they wonder why they have one title and not another and they bring that up to their manager. That’s how you know someone may not have a career path that they understand or are excited about. The title talk is really a symptom of something else. And once we see it we can address it,” says Chen. They point into the future: Just like you need to give your tent pole people some overhead space to grow into, titles at your company show that there's a next step to get to, another mountain to climb, a reward for hard work and longevity. When you don’t have titles, people lack a clear template for what’s next and what’s possible, Chen says. This is when people stagnate and stop striving. Distinct titles and progress ladders have another helpful byproduct: Staying power. Once you’ve rebooted your recruiting process and staff, the next big challenge is to keep it going. It can be easy to fall into old patterns at the first sign of success. Formalizing the mechanisms and principles of your new system will give them permanence.